This new sports combo bouncer features a large bounce area a basketball hoop, a climb ladder, and slide with a colorfull front featuring all of your favorite sports games. This combo unit gives the kids more stuff to do. 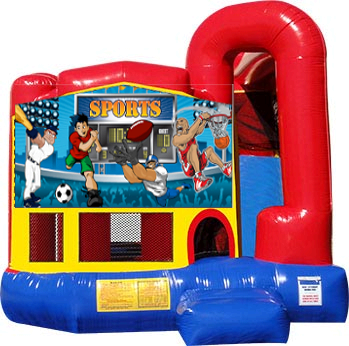 They will have tons of fun playing in the sports combo at your next party.